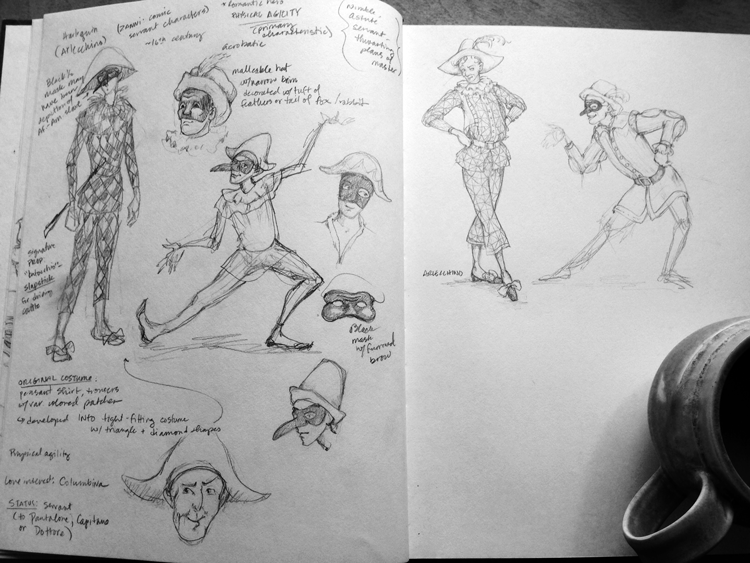 Diving into Commedia dell’arte character studies…Harlequin, or Arlecchino (Italian) was a very popular stock character in the zanni category. 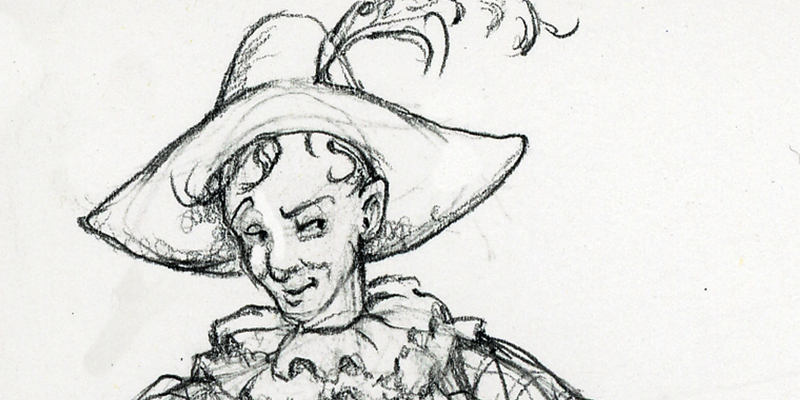 Zanni were typically a pair of servants to an upperclass couple. 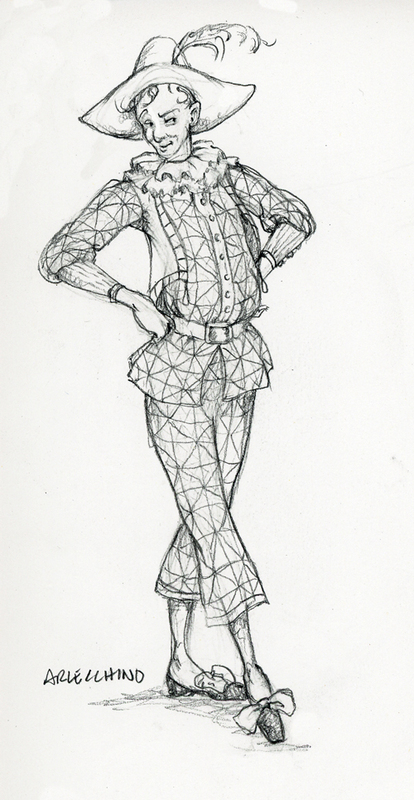 Arlecchino is known for his wit, physical agility and a cunning ability to outsmart his master.